When creating WordPress websites I like to do so locally (e.g. XAMPP). Working locally has allot of advantages like faster load speed, being able to load the entire project in the IDE of your choice (code suggestion for your entire project) and the ability to use versioning software (like SVN and GIT). The only problem I had was not being able to install plugins from within the plugin backend page. Searching through the plugin repository works fine but when you try to install a plugin you’re asked to enter FTP credentials to proceed (the ‘Connection Information’ screen). And because we’re working locally, it’s most likely that we don’t have FTP access to our local server. 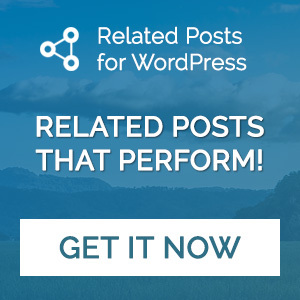 Of course you can download the plugin from the wordpress.org online repository and then copy the files to your local plugin directory, but you don’t have to! We can simply add the following code to our wp-config.php to let WordPress use a different filesystem method than FTP. Setting the ‘FS_METHOD’ to ‘direct’ will also allow you to update WordPress Core and install themes from the theme repository locally. I’d love to know if this helped you or if you have a question, so please leave a comment below. What file should I open and add this code you referred? 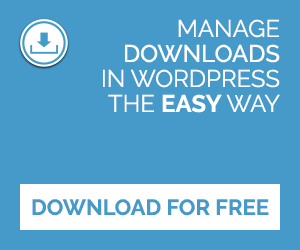 wp-config.php in WordPress installation folder. I think you should go to C:program file/xampp/htdocs/wp and edit or add the code by means of text editor. That is open wp-config.php and add or edit. Amazing, this works for me. Thanks a lot Man. God bless you more. This is a great solution. Thanks. Do you know how I can fix this!?!? Thanks!! Plz, never ever put the file permissions on 777, this will make it accessible to the public. Make sure the user (who runs the apache service) has the read/write permissions on the wp-content folder. Hi, thanks Baobab33. It worked for me. which is the default publishing directory for your server on ubuntu. In terminal I changed the privileges for the wp-content folder and the plugins folder to 777. Plugins now install perfectly. thanks Richard that Did the trick for me to! Yes. Finially. So many bad suggestions out there… You are the best, thanks! Thanks a ton for sharing this info . I tried to change all defines() in my wp-config.php and when I back to my local wordpress, appears a page saying: “Error to connect the database…. It means that the user and password informations in your wp-config.php are incorrects”. What, exactly I have to do? Thank you for your attention guys. This worked great, Barry. Thank you. Thanks for the tip Barry, it worked beautifully. Put this at the bottom of the code. Then open your terminal and navigate to your worpress content folder site. For those of you that are frightened at the thought of using terminal, you can also navigate to your directory through finder and change the files manually to read & write in the wp-content folder. You must first change wp-content, then “plugins”, “themes”, and there’s one more in there I can’t remember. Hope this helps! Hi, I am a total WordPress beginner and also have the problems installing the plugins on my localhost. I already tried all your advices but absolutely don´t know where and how to change the permissions. I work on an apple system with XAMPP. Can you help me please! Muchísimas gracias, muy útil tu información. Me sacó de apuros!. After one hundred incorrect suggestions, yours worked. Thanks man! Barry, this was such an elegant fix—thank you! Hi Barry (and others who may want to post the fix). When I add this line to the wp config file I no longer get the option to install or delete plugins. All I can do is active the plugins that are already installed. Is there a work around for this, or have I done something else wrong? I also get the error: Could not create directory. when updating Core or plugins. Im not happy about changing permissions to 777 as I dont want my wordpress installation to become a spam hijacked site. this solution is for a localhost install. So no spam or hacking. Thank you so much , very helpful article. I lost an awful lot of time in search of a solution, and your suggestion worked just fine. I just have one question though. Do I have to remove/comment this line in wp-config.php file when I move the wordpress installation to external server (not localhost anymore)? I would recommend you to do so, yes. Thank you for share a nice Tips with us. It works perfectly! Awesome!!! i’ve been looking the solution to this problem for hours!!! Thanks for sharing this, highly appreciated! after putting in that line in wp-config and changing the permissions, i still can’t install plugins. it says it can’t create the directory. any help would be appreciated. EDIT: i just manually put the plugin into the directory. but if someone can still fix my issue that’d be great. thanks. Thanks alot! Just what I was lookin for. I’m guessing we need to remove define(‘FS_METHOD’, ‘direct’); correct? Does anything else need to be done to the wp.config file to make the live environment work properly? Yes, remove the define(‘FS_METHOD’, ‘direct’); on the live website. Thank you. You saved me many hours of time! after making the change you recommended i was faced with the permissions error as well. This made me realise that the FTP prompt was not because of the missing setting but because of the folder permissions. removed the setting you recommended and the corrected the folder permissions for the plug in dir and TADA all working as expected. Thanks for taking the time to post this though as it did get me on the right path! I LOVE YOU Man 😀 Perfectly Solved The Issue !!!! Great fix, thank you !!!! It was getting really annoying to have to download unpack and copy every theme and plugin. Where exactly do you need to paste this code? thank you so much barry. i had being looking for the solution a couple of days now. I was getting one trouble after another using several sites with xampp on mac, because wordpress wouldn’t install plugins and themes, when I did it manually some of them wouldn’t be recognized. Hello 🙂 I am trying to install the plugins but I am unable to do so. I plugged in the code and now I am getting the error message that some people seem to be getting also. I do not understand how to do the 777 code on the terminal, do you mind walking me through on how to do that please? I need to build this site offline because there’s one currently live already. Hi Lorena, you know what..
i almost 4 hours try to find how can i understand “777 code on terminal”..
Just found your post and was immensely helpful! Just a flag to errbody though — don’t leave your permissions at 777!! Major security issue. Set back to 755 after you’ve downloaded your plugins. And never do this at live servers! This is just for local host! Dude, You’re a genius! Thanks for sharing. Hey a BIG THANK YOU for making my life easier! Many thanks, very useful, worked for me fine. Thanks a million for saving me a bundle of time. I use my home server for testing and staging. This made everything easier. Thanks bro! It works really well! But i have another problem, after it pass that page. All the installation of the plugin become failed. Sounds like a permission issue. Try changing the file/dir right to 777 on your local system. Remember to not do this on your live website! My problem has been solved, thank’s bro. Cheers!! Jobs a a good’n!! This is my version of this fix. Just ensuring that noone takes advantage of this unless they are administrators. Spent weeks looking for this answer! I had to change the owner/group owner of the files on my site for this to work (it gave me the error message ‘cannot create directory’ and I spent a lot of time searching for this solution). ‘www-data’ will allow wordpress to make directories and amend files. Oh and make sure you do actually change directory (first line) before doing the second line as that will mess up the directory you are in, trust me I know this from experience! Just started with WordPress today on localhost and immediately ran into this problem. What’s up to every one, for the reason that I am genuinely eager of reading this webpage’s post to be updated regularly. “Warning: an unexprected error occured. something may wrong with wordpress.org or the this server’s configuration. if your continue to have problems, please try the support forums (wordpress could not establish a secure connection to wordpress.org Please contact your server administrator.) in C:\xampp\htdocs\wordpress\wp-admin\includes\plugin-install.php on line 158. Thanks for the tip Barry. to see your post. Thanks so much and I am taking a look ahead to touch you. Thank for you useful solution! Glad to hear it is! upgraded to wordpress 4.6.1 using ubuntu 16.04 desktop version. That’s great to hear and thanks for sharing the extra info! I have already installed plugins on localhost. Thanks for help! thx bud. works out of the box, so to speak. kinda ridiculous that WP wouldn’t address this in documentation, as most developers would work on localhost environment prior to uploading to FTP. yours is a save in the bottom of the ninth. Frustated for a couple hours. And try that’s code. It’s work. Thanks for make my life easier. Everything works now thanks to your codeline in wp-config, plus I spend a lot of time trial and error giving maps write and read permissions manually. The 777 thing I just dont understand… Which terminal, thing are people talking about?? If I create another database and install another wp installation in the future, is there a written rule what to do about the read and write permissions to maps? E.g. if client-map in htdocs has permissions for write and read will maps inside this map copy those privileges? Man that’s just groovy…THANKS A LOT, works like its charmed…. Thank you so much, it really helps me!!! Yep this made my life a little easier! Maybe it’s good to mention where the php file is found and that you need to reload the admin page before it works. Haven’t worked on WordPress for years, and this always annoyed me – was fine doing it from the command line, but this is just easier. Oh my! Bless you! Every time I updated my plugins I got stuck during the process and just every once in a while it worked. Adding this one line of code fixed the problem straight away! Thanks! holy crap. it’s working for me. i have honestly considered going back to windows (now using mac) because i couldn’t get this to work, and on windows xampp this is all automatically done. wow. thanks a lot. Sometimes things in the comments or in the article work.. but if don’t.. then just give it what it asks for 🙂 localhost/ root/ empty password . I fount the solution! And of course it works like a charm! 4. Save your hosts file and restart MAMP servers. Thanks it really helped me! Thank You Barry for sharing this awesome article, for a long time I was using shared hosting and this article helped me when there’s any problem while installing WordPress, so far, I have now moved to managed WordPress and using their console to install everything, but still I am hosting some blogs on shared hosting get help from this post written by you. Great. Helped me a lot. It just works.